Oliver and I had a wonderful time at your workshop. You were so brilliant with Oliver and he is so enthusiastic about making a batch soon. They are delicious and I will be highly recommending you to my friends. Just wanted to let you know how much I enjoyed the evening making macarons, thank you. I have not stopped making them since, having great fun with mixed success. I will just have to keep on making them and tasting them!! Friends have been very impressed with my results. I am just circulating your details to my friends and their husbands so hopefully will definitely see you again soon! Thank you very much for our lesson on Saturday. It was enjoyed by all four of us. I am going to have ago on Friday this week making more. I will pop in with tasters of my Chutneys and Port to let you try at some point. Sorry I did not get in touch with you after the ceremony. I would like to thank you for making the macarons for. They were absolutely delicious. Thank you very much for Holly’s party on Saturday, all the girls had a great time and feel confident to make their own macaroons at home. I attended one of your macaron making classes a couple of weekends ago, thank you so much again, it was fantastic! I am going to make some for Christmas presents with my mum next week, however we will using an aga. Do I need to alter the recipe or time in the oven? Just to say a big thank you for your demonstration at Purewell electrical on Monday it was so interesting. The macarons I took were enjoyed by by colleagues the next day with their coffee !!!! I am now keen to make my own and you kindly said you would be happy to email your recipe ? If you could I would love to have a go. My friend and I were at your demonstration on Monday at pure well electric. I just wanted to say how much we enjoyed it. You really have perfected it ! You did mention that you would send through your recipe to us if we e mailed you. Is that correct? If so I would love to have your receipe. I also run an events company in Lymington where we often do cookery events for our clients. We do the great British bake off which is really popular at the moment and wondered if you are ever interested in doing outside events. We do a lot at the Four Seasons Hampshire as they have plenty of room for cooking events and our other outdoor events too..
We are called LYC Events take a look and see what we do. Thank yo ever so much, we had a lovely time on Wednesday evening. We will definitely be recommending you to other interested parties! I thoroughly enjoyed it (the master class) – thank you so much. The macarons were delicious – I’m looking forward to making some more. Thank you so much for yesterday. We all had such a great time! Just to say a huge thank you for a wonderful afternoon, we all enjoyed it so much and came away feeling rally inspired….. Many thanks for a memorable day – I really meant it when I said you are a very talented teacher! Thank you for a great class yesterday, we were both very proud of our creations. Please could you send me the recipe and info over to this email address? I’m looking forward to trying to make my own when we have a kitchen again! Thank you so much – it has been a real pleasure doing this first marketing campaign with you. We are already planning the next! 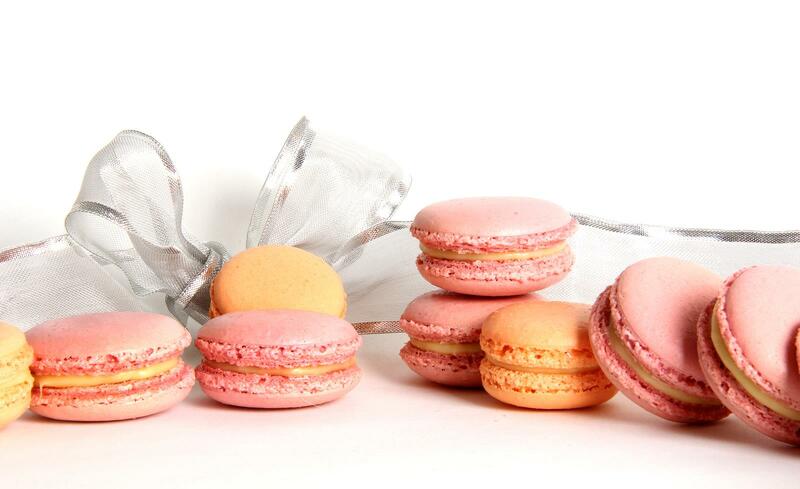 Just wanted to say a big thank you for the amazing macarons – everyone loved them! Just enjoyed the Rose water mini macaron! So yummy. Thank you. Just wanted to say thank you for this evening. Was a really enjoyable evening in such a relaxing setting – great that everyone’s Macarons looked amazing!! Given me lots of inspiration (and confidence!) in terms of technique, colours and flavourings! Am sure we will see you soon. What a fab addition to Newbury. I’ve just spent a fun evening with some friends, learning the art of macaron making. 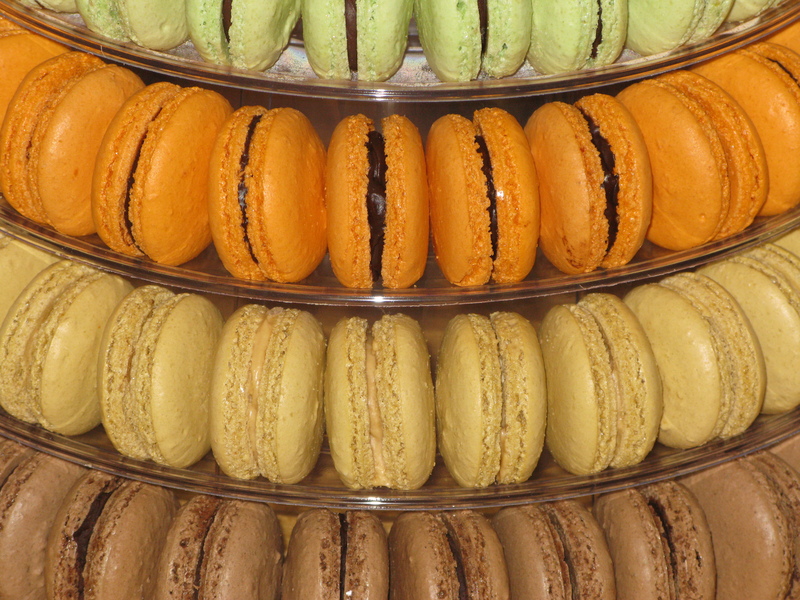 Pop in there for a coffee and try some amazing flavoured macarons – mint chocolate was scrumptious! Just wanted to say thanks for the macarons. For 24 hours the “secret box” in the fridge caused a lot of puzzlement and head scratching. But once opened they were a great surprise and very tasty indeed – everyone had their own favourite flavour too. I’m certain we’ll be back. Thank you so much Gaye for such an excellent course at Newlyns last week. I learned so much. You said I should contact you for the details on how to buy the red silicone sheets,I am impatient to make more of all three sizes. I should also love sometime to visit you to explore flavours as my 80th birthdayapproachesfastandi am keen to make some for that. I just wanted to thank you for a great morning. I really enjoyed it. You have given me enthusiasm and confidence to make more macarons, and some great ideas, I’ll be going to lidl and Aldi to try their chocolate! I had a look to see what colours I had and I haven’t got an orange, so if it was possible please can you order me an orange? Luckily there was no problem with the car parking. Just a quick email to say thank you so much for the macarons you provided for our event on Saturday! They looked fantastic and went down well with our customers once again! I will be looking through the pictures of the event very soon and when I do, I will be sure to send you some photos of them in store. Lizzi here from the class you took today. Just wanted to say thank you so much for a great morning, I look forward to trying out the recipe in my own kitchen. Fingers crossed they will go as well as in the class. I think all my friends and family are going to get home-made macarons for Christmas this year, my mum was very impressed with the gift box with them inside! A friend and I would like to attend your master class as it has been highly recommended by another friend. 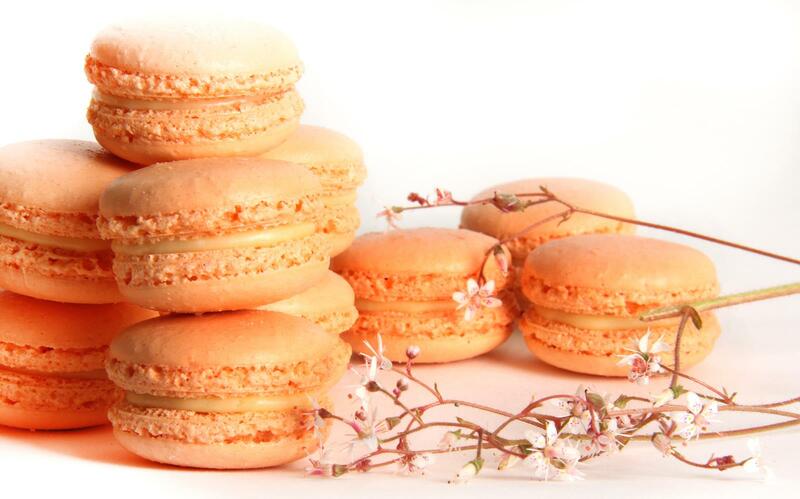 Can I check that it is suitable for absolute beginners to macaron making and what dates you have available. Thank you very much for the macarons you provided for our PANDORA Plymouth event. They went down very well and we were delighted! Just a quick email to say thank you so much for Saturday. Mum, Tamsin and I really enjoyed ourselves and were delighted to have produced such scrummy treats!! The couple of hours was so well thought out and your patience was much very appreciated. I very much look forward to perfecting my macaron making skills and Ben eagerly continues to be my chief taster! All sorted, thank you, they look amazing! The Macaroons were delicious and lots of nice comments, many thanks. You beat me to it! I was going to mail you to say a big big thank you for a wonderful afternoon! It was a lovely way to spend time and I learnt so much! I am more than happy for you to mention me and Nelson’s cottage bakery in you blog etc! And yes it was kings Lynn! I was home just after 7.30 so had a really good trip back! Tom loved the goodies you sent home! He even liked the lavender flavour! Be in touch with some photos of my creations soon! Thank you so much for how delicious and beautiful the macarons and box ends were for our wedding this last Saturday! They were sooo yummy! People were fighting over the leftover boxes! Thanks so much for your lovely email! We had the best day of our lives, it was such a wonderful day! Thanks so much for your lovely macaron wedding favours, they were perfect! Everyone commented on how nice they were. The macarons had wonderful feedback! Kate and I even pinched one to try and lemon curd in particular was delicious. There have been quite a few valentines orders but just for the scones, not macarons. However, we have a few tea parties coming up so I will be in touch with you soon. My order arrived today safe and sound! Thank you so much. The girls are very jealous. a real Mother’s Day treat and they were delicious. The Board loved them!! Thank you very much. We will settle the invoice in the course of next week. many thanks for the Macaroons! we have polished one box off already they were lovely! Really liked all the stationery and packaging as well. Looks really professional. The branding looks really strong. Just a quick note to say thanks so much for the delicious macarons that you sent with Bernard last week……very yummy indeed!! Hope all’s well with you and that the ‘big’ birthday weekend went with a swing! It was a lovely evening on Tuesday. Just a quick note to say that ..the special macarons.. were eagerly devoured by the five bros and wives. They were quite divine!!! All the best with your venture – if I understood the first thing about Facebook or Twitter I’d definitely be a follower !! I had such a good teacher who explained it so well. Many thanks. I’ve told lots of people how wonderful your samples were! What you have created is wonder-full and we’re sure you will be very successful. We’ll be back and so will many of our friends. The boxes are here for collection by arrangement, call on either of the numbers below!